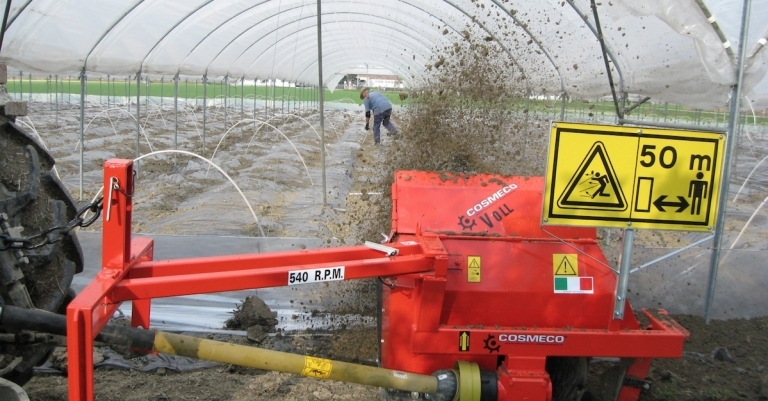 Bilateral Vertical Ditchers | Products | COSMECO S.r.l. 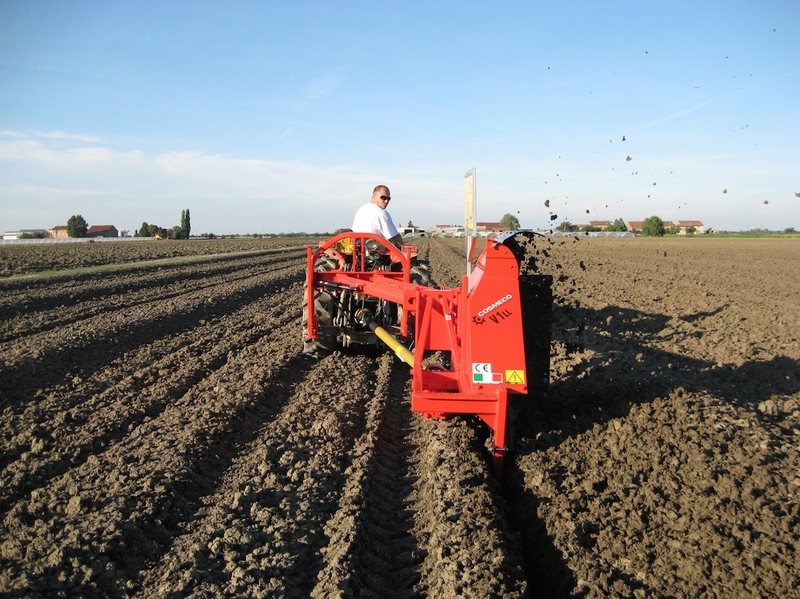 The different models of Cosmeco vertical ditchers are, without a doubt, an interesting modernisation for what concerns water control and management, as well as drainage, irrigation or excavation of trenches where to lay the pipes. 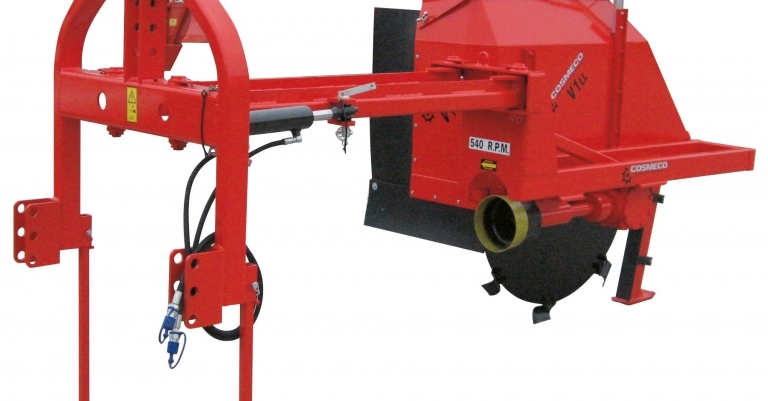 The vertical rotor makes a slit in the ground, and thanks to the peculiarly curved knives the dug material gets collected and removed, finally the rear shaper completes the cut by compacting its base and walls. 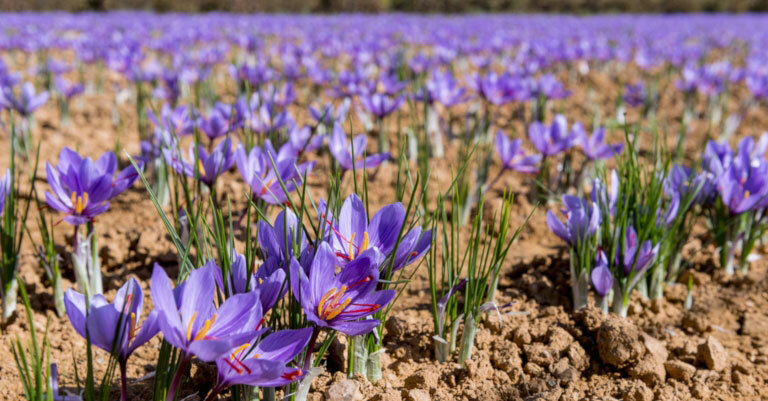 The result is nearly perfect, the vertical walls remain well-defined and smooth, requiring close to none further maintenance. 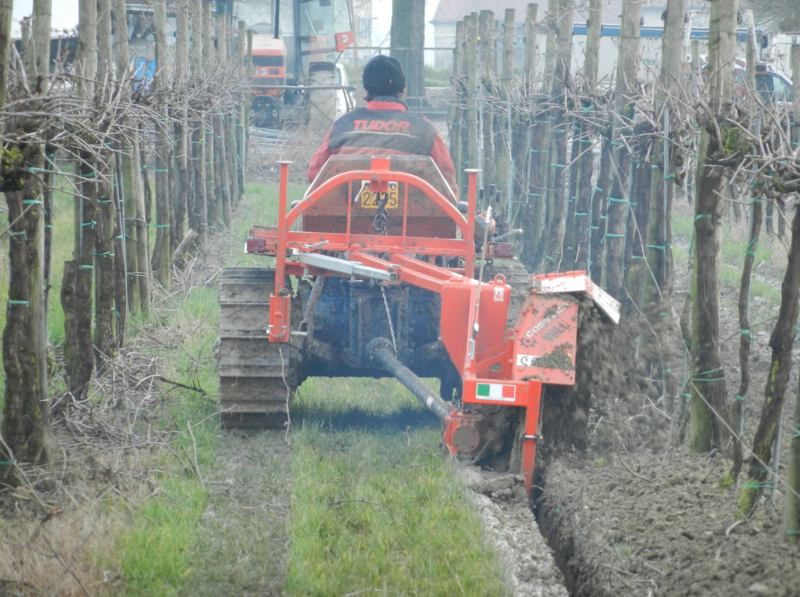 And even if the cut appears closed on the surface, the bottom remains open and the excess water, which usually damages cultivations or hinders the adequate work on land, keeps flowing. 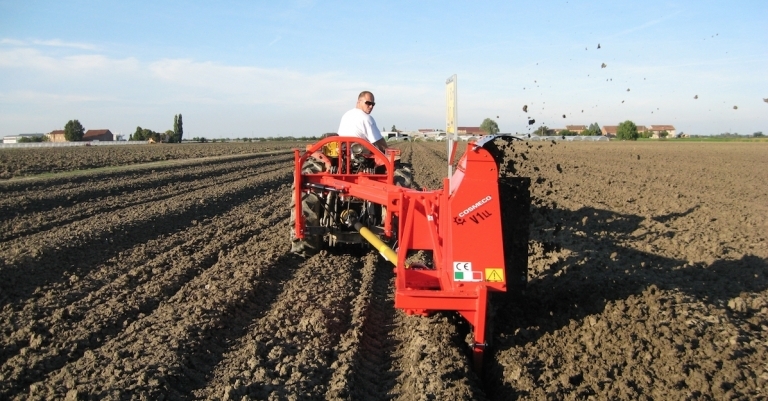 Cosmeco vertical ditchers are crucial allies not only for drainage, but also for subsurface irrigation, a very effective system for a precise underground water distribution, laying pipes underground or placing electrical cables for solar parks. 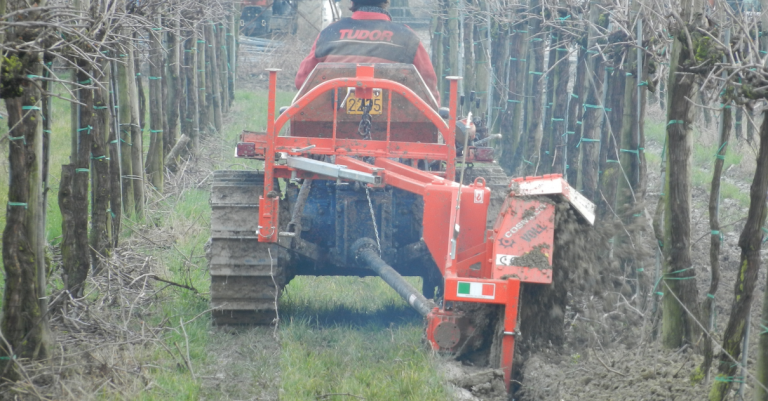 Due to their light weight and reduced size the smaller models can operate in young orchards and vineyards, as well, all without damaging the roots, moving only as much soil as strictly necessary. 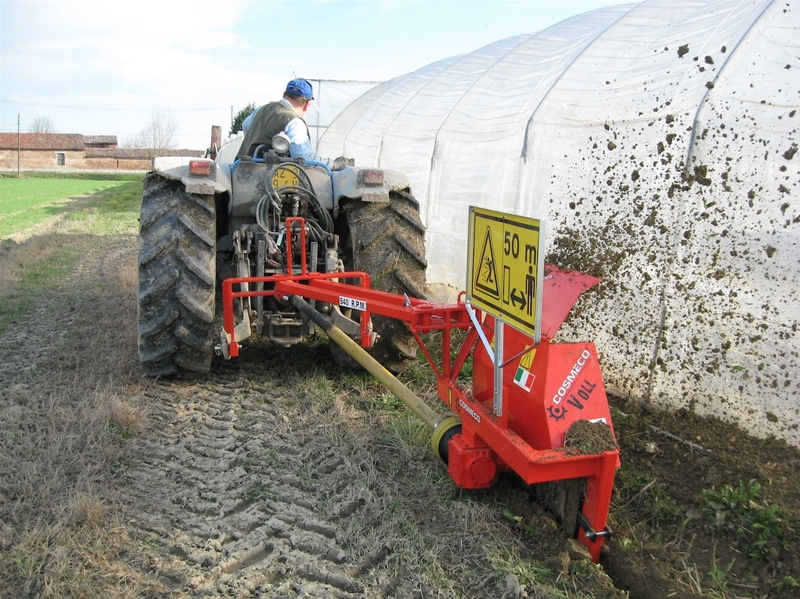 The Cosmeco bilateral vertical ditchers are equipped with a mobile frame which allows the operator to excavate new ditches or do some maintenance work, behind both tires of the tractor, or any intermediate position between them. 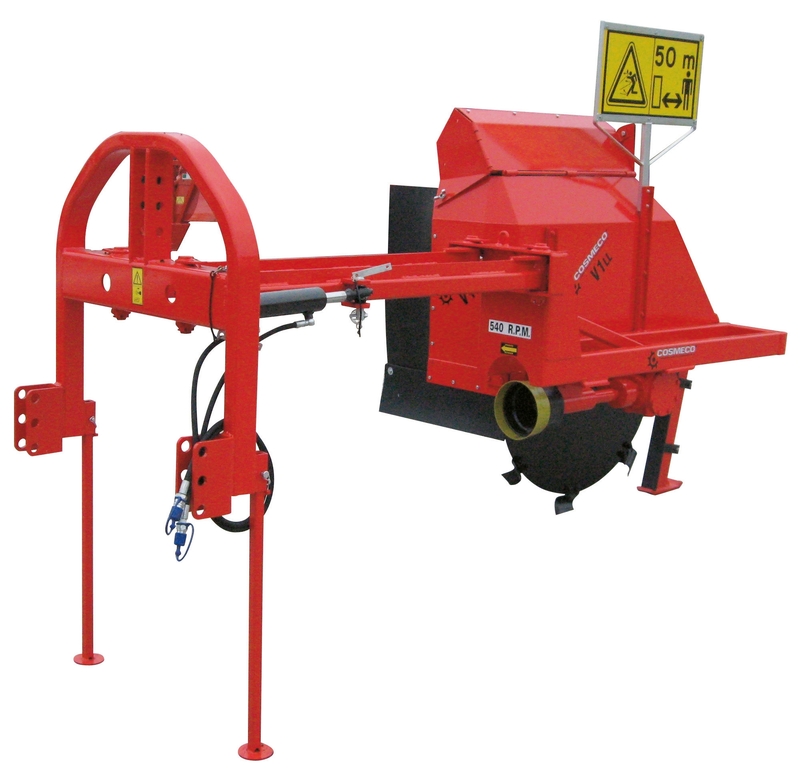 According to the customer’s choice the movement can be either performed mechanically or through a hydraulic cylinder. 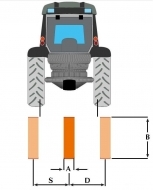 This special mobility visibly facilitates the operator during difficult situations that require particular digging positions, which would not be practicable with a standard ditcher frame. 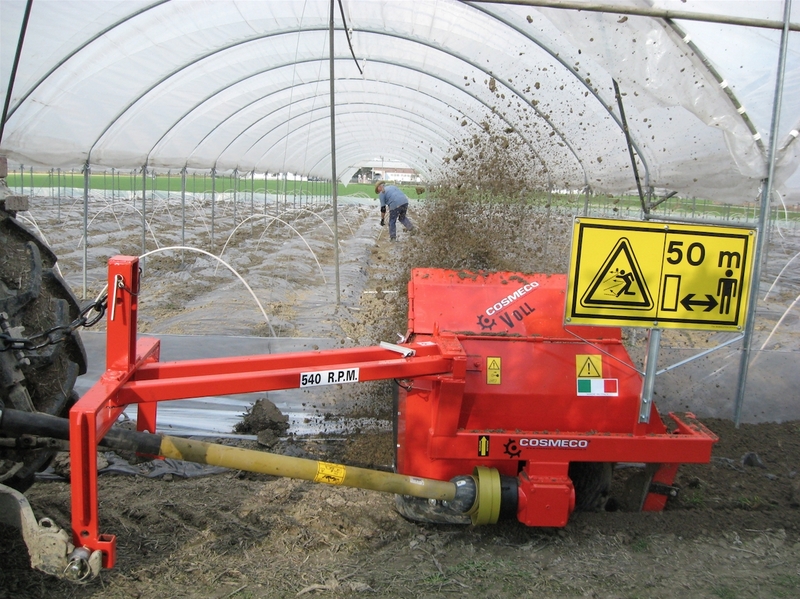 For these reasons our vertical ditchers are successfully used both inside or outside greenhouses, or simply to earth up the film on tunnels edges. 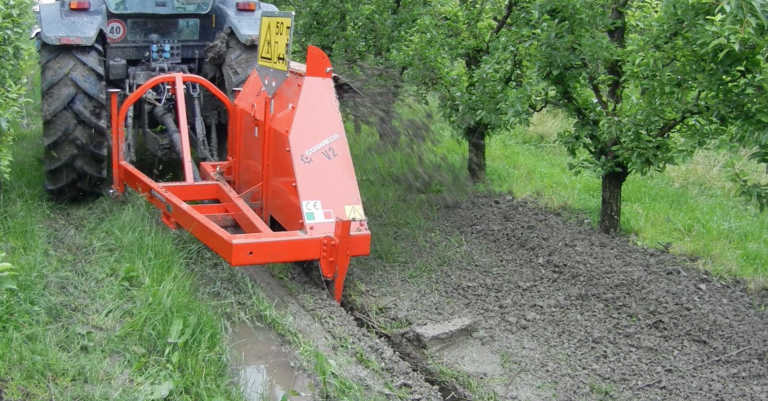 Check out this video of our bilateral vertical ditcher at work! 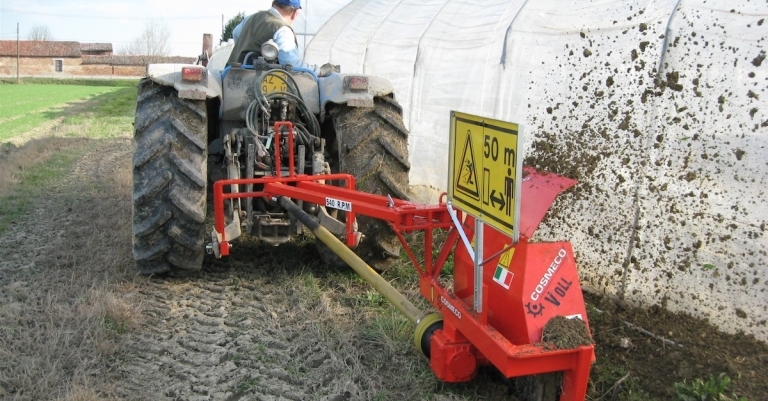 Great versatility thanks to the moveable frame, hence the possibility to dig in many different positions.